The Blue Ridge Parkway is managed by the United States National Park Service. The Parkway 469 miles of scenic wonder stretching roughly from Waynesboro, VA, to Cherokee, NC, along the rugged Appalachian Highlands. 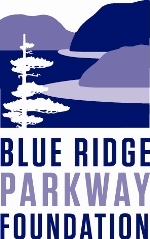 Established in 1949, the Blue Ridge Parkway Association, provides visitor information through the publication of the Blue Ridge Parkway Directory & Travel Planner and the Blue Ridge Parkway - Travel Planner mobile app and mobile website in cooperation with an active membership of travel and tourism partners, local businesses, and attractions along the Blue Ridge Parkway and nearby regions. 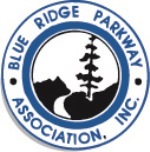 The Blue Ridge Parkway Foundation meets the widest variety of Parkway needs every day. We collaborate closely with the Park and our Community of Stewards to ensure maximum flexibility and impact of each donor dollar whether donor interests are in education, environmental and resource protection, visitor facilities, or cultural heritage. 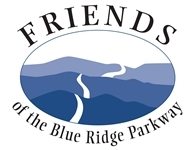 FRIENDS of the Blue Ridge Parkway is a unique group of members and volunteers who preserve, protect, celebrate, and enhance the Blue Ridge Parkway and its surrounding corridor for the benefit of its communities and future generations. Through education and public engagement in volunteerism, FRIENDS conserves the natural and cultural integrity of the Blue Ridge Parkway. 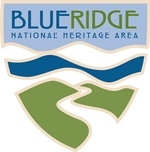 Blue Ridge National Heritage Area Partnership connects cultural, heritage, and tourism organizations in the North Carolina mountains and foothills to foster heritage preservation, promote the region to visitors, and achieve sustainable economic development. Eastern National operates bookstores at Parkway visitor centers. Bookstore proceeds support numerous education and research programs on the Parkway. Shop at non-profit stores in Parkway visitor centers to enjoy your visit more, support visitor center staffing, and generate cash donations to the Parkway. The Carolina Mountain Club is an organization of Hikers and Trail Maintainers. The CMC Hikes and Maintain trails on the Parkway and trails that cross the Parkway from the Smokies to the Black Mountain Campground. 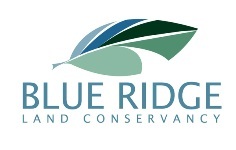 The Conservation Trust for North Carolina and the Blue Ridge Land Conservancy provide funds to preserve key tracts of land along the Parkway and seek private landowner support.